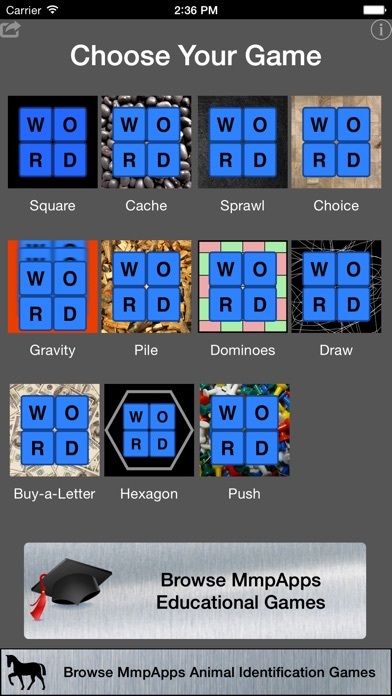 WORD SQUARE COLLECTION is a 11-in-1 collection of word games related by the Word Square theme. Totally free!! No in-app purchases. Most games can be played in two variants, 5x5 and 6x6. 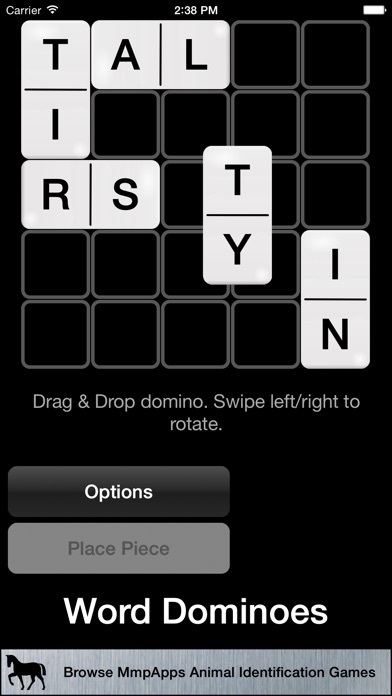 *NEW* WORD PUSH: Choose with row/column to push the next letter. Letters already in play will move accordingly. When the board is full it will score as in standard Word Square. WORD HEXAGON: Similar to classic Word Square but played on a hexagonal grid. BUY-A-LETTER: Just like Word Square but with the opportunity to buy a letter of your choice at four points in the game. WORD DRAW: A variant of Word Square where you start with a full grid of cards and have four rounds to discard any number of cards you want. WORD DOMINOES: A variant of Word Square where you place letter dominoes in a 5x5 grid. 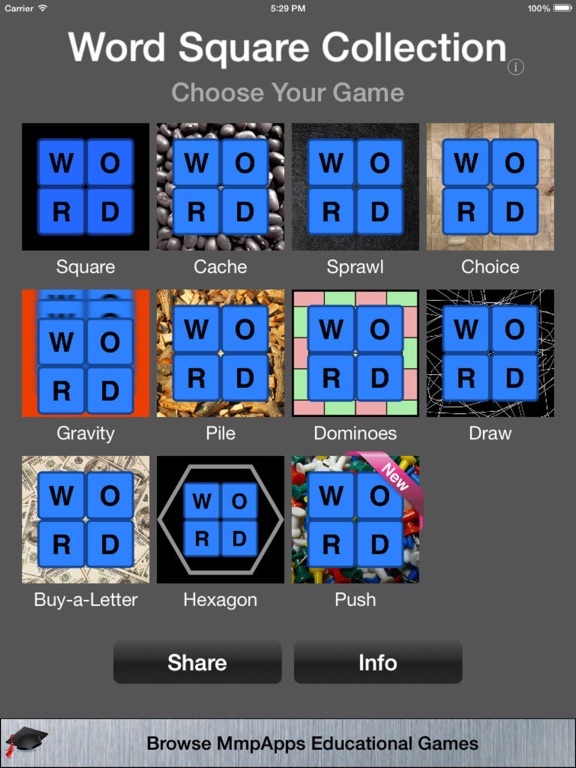 WORD CACHE: A variant of Word Square where you have 4 cache spots where you can keep letters for later play. WORD SPRAWL: A variant of Word Square with a challenging constraint that letters can only be placed adjacent to a previously placed letter. 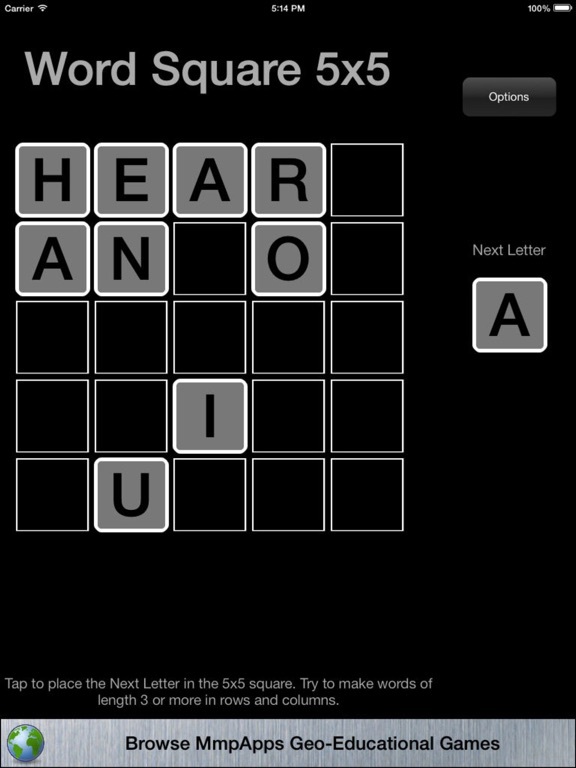 Two-letter words are also scored. GRAVITY WORD: A variant of Word Square with a challenging gravitational constraint. You choose into which column the next letter will fall. Two-letter words are also scored. 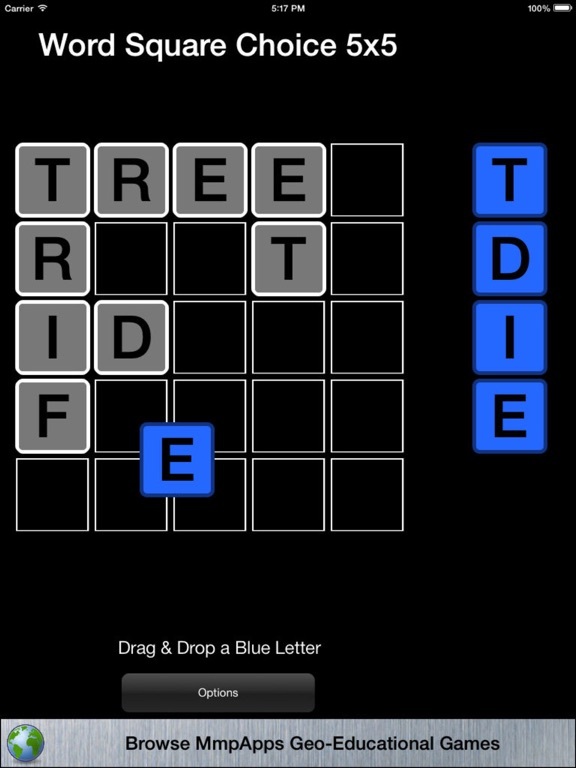 WORD PILE: A variant of Word Square where you can choose to place the next letter or put it on a discard pile. The top letter on the discard pile can be played at anytime revealing the letter underneath.